Bidding begins at 8:00 AM EST. Bidding closes at 8:00 PM EST. Check in early and often. Happy bidding! High Brow Cat and Peptoboonsmal Genetics! 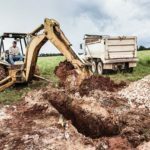 Working horsemen and women, Welcome Here! 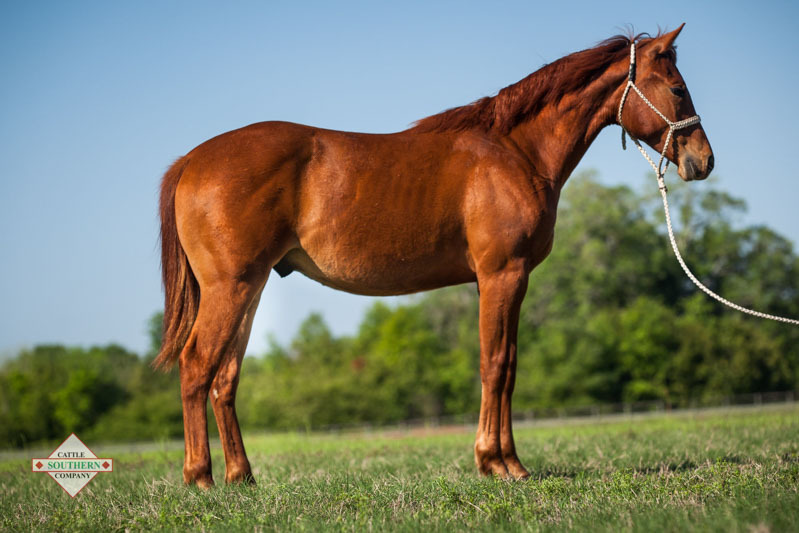 Our herd sire is Southerns Booncat, whose sire is legendary, Peptoboonsmal, and dam, Acute Kat, is out of arguably the greatest cutting horse of all-time, High Brow Cat. High Brow Cat has sired more than $78 million in money earners and an unprecedented eight NCHA Futurity Champions. 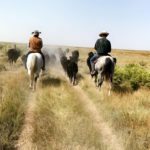 Our horses are raised and trained for the working rancher in mind. Genetics are the foundation and we aggressively mate to create superior horses for future generations. 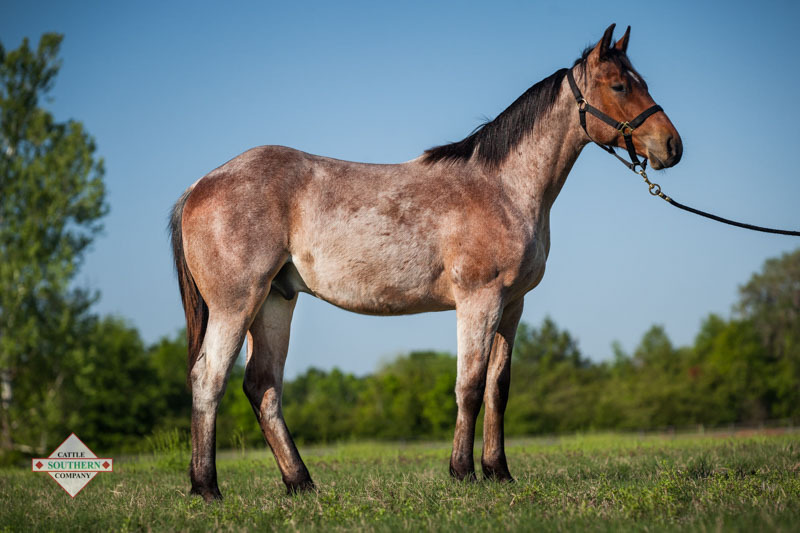 Strawberry Red Roan is a very sharp colt with genetics to match. His dam, Teton, was used as a using mare on the ranch for several years. This colt was born a little late; however, will easily catch up with these awesome genetics. 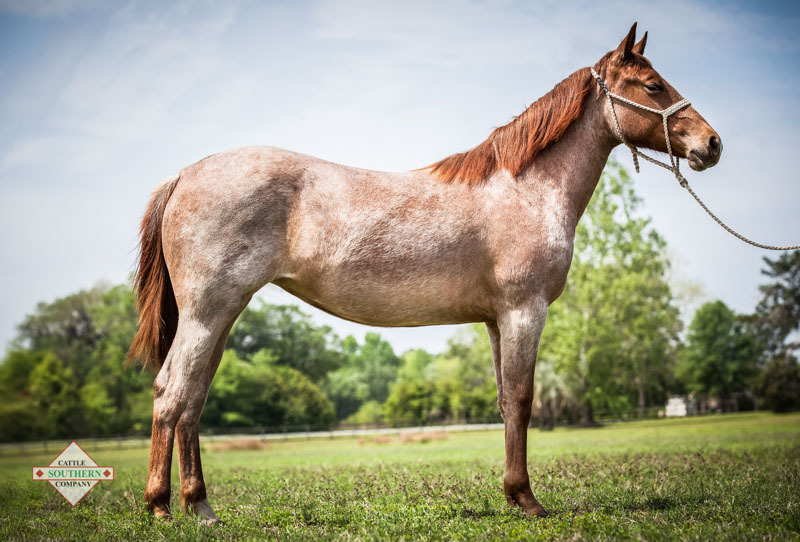 A genetically stacked red roan gelding that possesses the soundness and durability of a superior equine athlete. As a grandson of Smart Little Lena, the second leading cutting horse sire of all time and by a NCHA money earning mare, this colt is a sound investment. 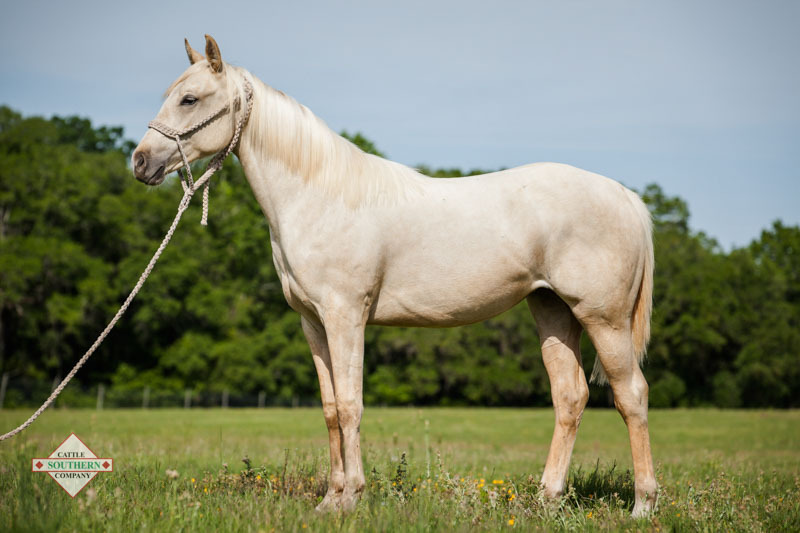 An exciting flashy flax mane and tailed gelding. This double bred High Brow Cat colt is a level-headed long-strided grandson of Peptoboonsmal out of a daughter by Woody Be Tuff. 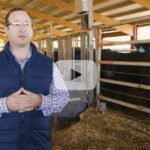 Boon Tuff carries the genetics of a breeding program that has proven to be among the best anywhere. He sells parentage verified and DNA tested. Ranchers and team ropers lookout! 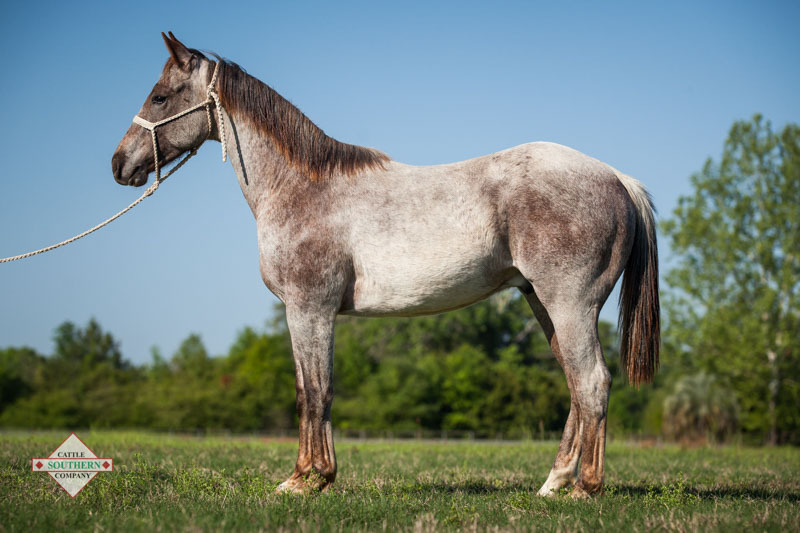 Big Boonbar is a popular bay roan gelding here at the ranch with heavy bones, straight legs, and a strong jaw. 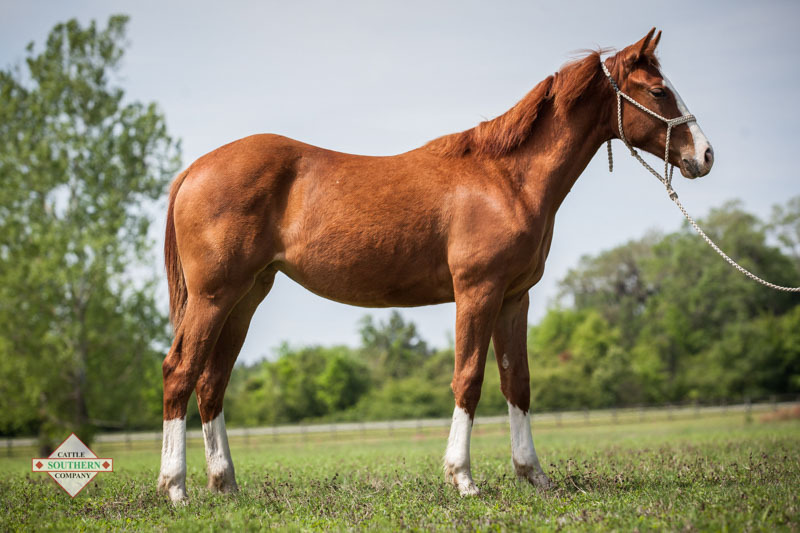 As a son of Southerns Boon Cat by a ranch-raised mare that is now a retired heading horse, this colt is a top arena or ranch horse prospect with a lot of muscle and expression. He sells parentage verified and DNA tested. A big stand up filly with proven genetics. 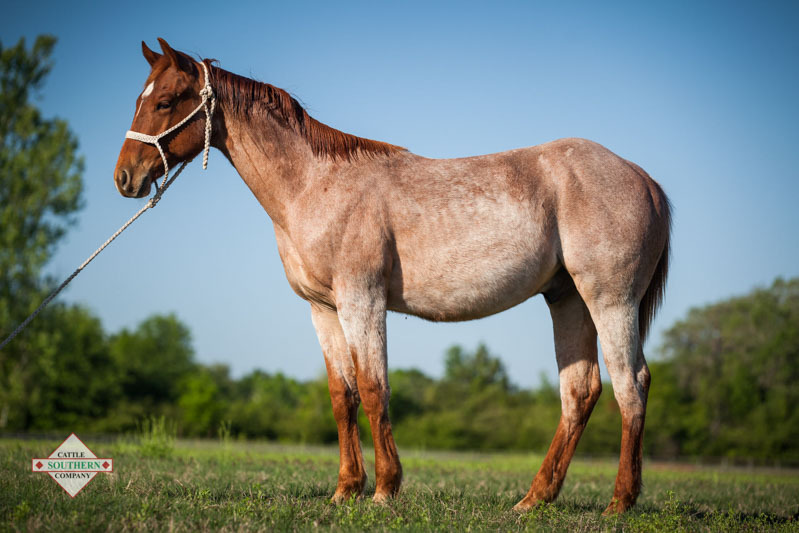 With the cow horse lines of Peptoboonsmal, High Brow Cat, and Smart Little Lena, she is a sure investment. 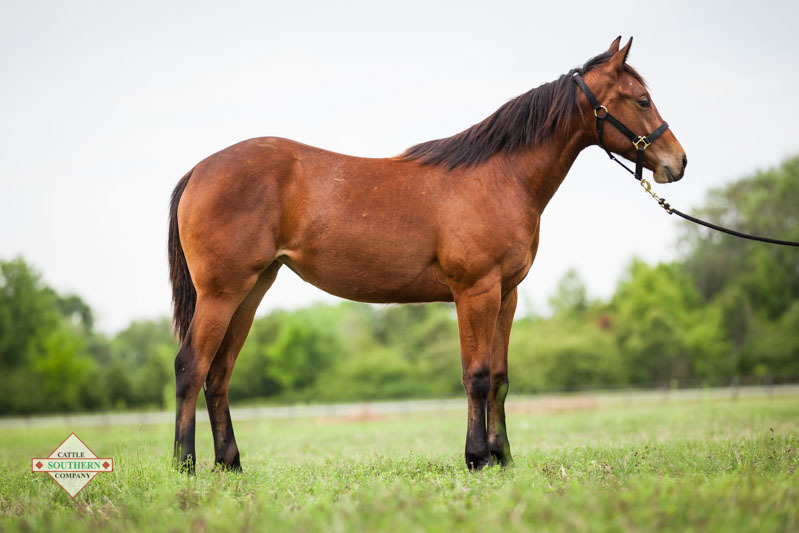 This power packed filly will be ready to work in or out of the arena. She sells parentage verified and DNA tested. This filly is positively awesome! Confirmation, genetics, and the disposition of a lady. This pretty bay will work in any direction. SCC Ranch outcross breeding at its finest! Peptoboonsmal, Sunfrost, and High Brow Cat gentics. 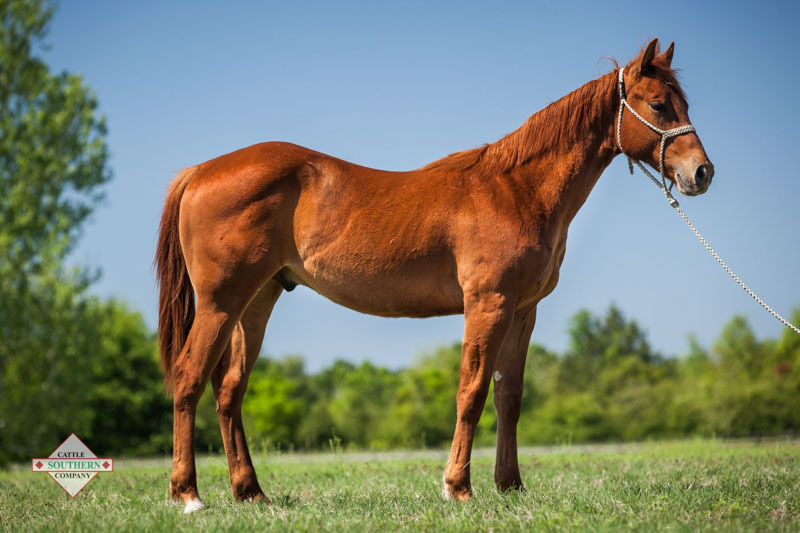 This gelding is keen-headed with a round hip and short back. 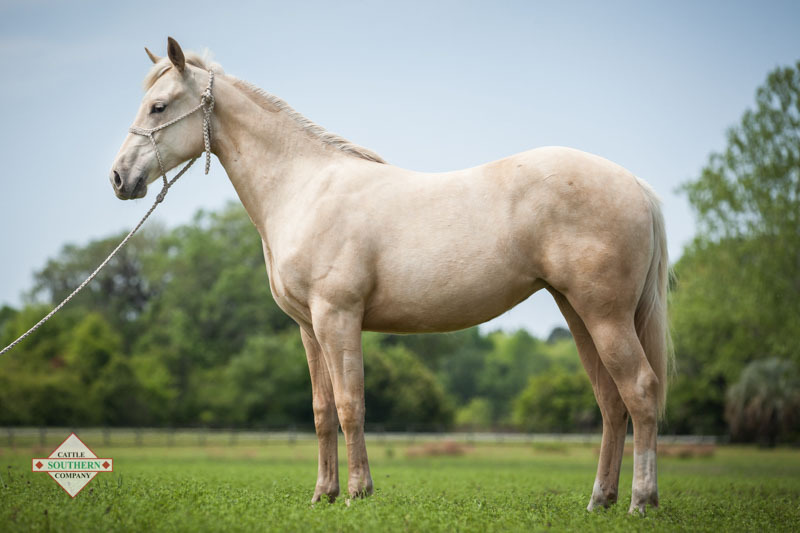 A fancy palomino filly that is quiet, calm, and sharp looking. Out of a sire of proven genetics, this filly is an eye catcher. This filly is a really good one with Peptoboonsmal, High Brow Cat, and Dynamics on her papers. She’s a tall powerful filly that should ride nice and produce top colts. A power-packed filly stacked with muscle, lots of bone, and loaded with sense. 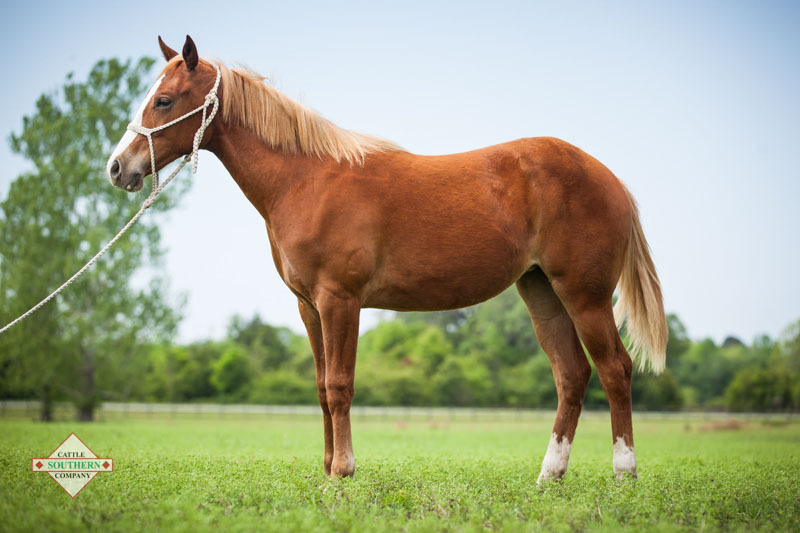 She is a daughter out of Shiners G Que, an AQHA and NRCHA champion. 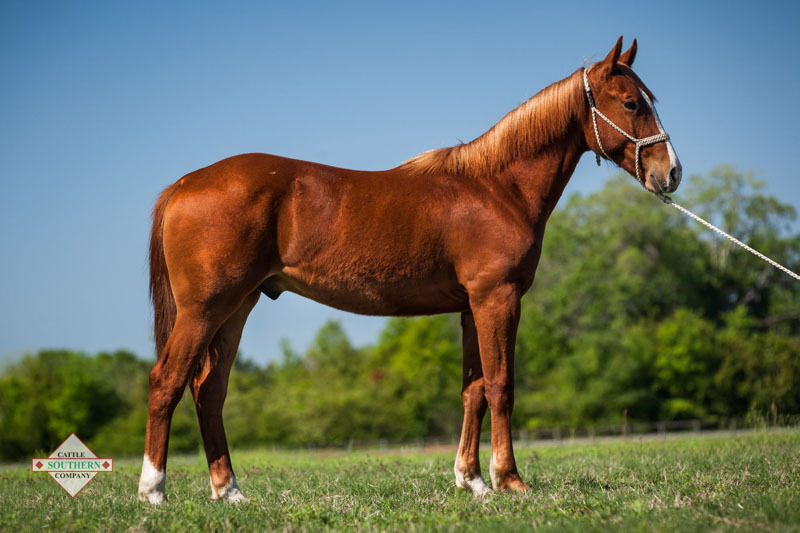 By Shiners G Que, this sorrel gelding is a good one. 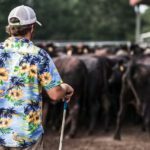 Proof is in the pudding when it comes to this correctly-made cowy athlete. Sound investment! A Southerns Booncat special! She is a keen-headed filly with a little ear and a big hip. With these genetics, she will have speed and brains.